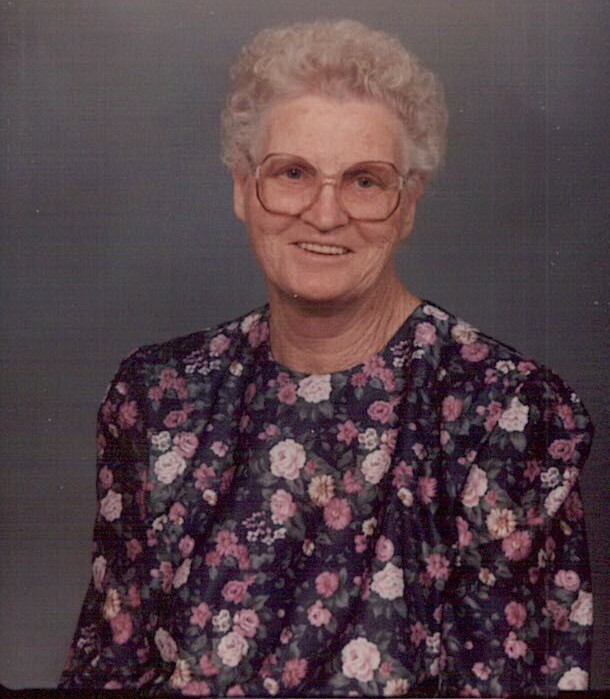 Estus Irene Gore of Riegelwood, North Carolina received her wings and went to be with our Lord and Savior on February 4, 2019 at her home surrounded by family and loved ones. Irene was born on December 2, 1930 to the late Layton and MaeBelle Gore. She married the love of her life, Homer Roland Gore on October 24, 1948. Irene was a homemaker and farmers wife, all while raising seven children. She was a member of Wesley United Methodist Church of Riegelwood, where she was an active United Methodist Women’s member and attended the UMW women’s retreat annually to engage in ladies fellowship. She loved to cook and always opened her doors and table to anyone who was in need of a meal, she never turned anyone away. Irene was preceded in death by her parents Layton and MaeBelle Gore, husband Homer Gore, sons Roland Gore and Levern Gore, brothers Wilbur Gore, Junior Gore and James Gore and sister Etheleen Gore, daughter in law Joan Pike Gore and son in law Carl Mac Bennett. She is survived by her sisters, Diane Bullard (Ernie) of Monroe NC and Lila Pearl Ward of Molly NC. Five daughters, Louise Lavin (Stanley) of Delco NC, JoAnn Gore of Aiken SC, Rhonda Price (Rick) of Rigby ID, Gail Gore (Steve) of Riegelwood NC, Frances Jacobs (Dean) of Bolton NC. Seven grandchildren, Ann Young (Matt) of the home, Brian Bennett of Delco, Melissa Patrick (Wayne) of Whiteville, Roland Gore II (Jessica) of Delco, Stanley Lavin II of Delco, Devin Jacobs and MaKayla Jacobs of Bolton. Six great grandchildren, Taylor Jacobs of the home, Haley Gore, Mickey Strickland, Maya Patrick, Hannah Gore, and Jesse Gore. As well as grandchildren, Tammy Carver, Tracy Farmer, Charlene Farmer, Dennis Clifton, Daniel Clifton, Justin Clifton, Linda Smith and lots of nieces and nephews. A special thank you to a wonderful care giver/sister Jurly Ann Dickson. Thank you to Lower Cape Fear Hospice of Columbus County for the care and support that was given to our family in the time of need. Visitation will be held at Wesley United Methodist Church in Riegelwood NC on Friday, February 8, 2019 from 6-8 pm. Funeral will be held at 1 pm on Saturday, February 9, 2019 at Wesley United Methodist Church with burial at Gore’s Chapel Missionary Baptist Church Cemetery in Nakina, North Carolina. In lieu of flowers, please send to Wesley United Methodist Church at 104 NC-87, Riegelwood NC 28456. Gore’s Chapel Cemetery is located at 36 Gore Chapel Road, Nakina NC 28455.